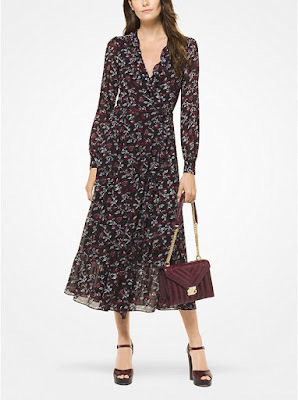 Time to get your winter wardrobe sorted, adding some fun, colour and something a little different with Michael Kors , these dresses which run from bold easy to wear sweater dresses to chic jersey dresses in a paisley pattern will cover every occasion from work to weekend. 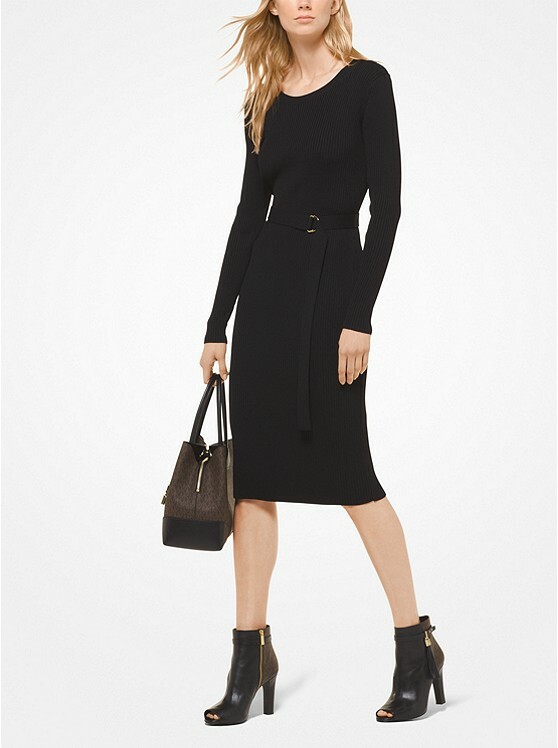 The little black dress is reimagined for the season in an effortless turtleneck silhouette. 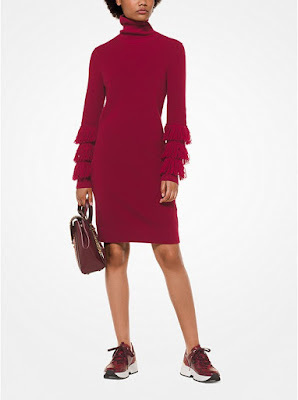 Spun from a warm wool blend, it’s accented with three tiers of playful fringe on the sleeves. Wear it with embellished ankle boots for a day-to-dark look. 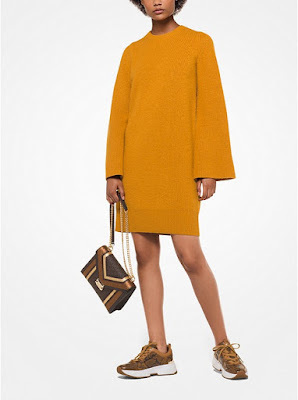 This cozy wool sweater dress is cut for a modern silhouette with clean lines and bell sleeves. Accessorize with an embellished shoulder bag and cool trainers for an easy off-duty look. 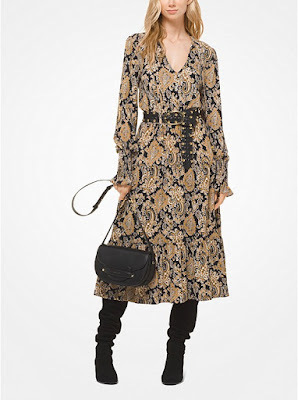 Rendered in a paisley print, this matte-jersey dress features delicate neck ties and smocked cuffs for a feminine finish. Enhance its breezy, mid-length silhouette with a belted waist and slouchy boots. Imbued with bohemian flair, this midi wrap dress is printed in a botanical motif and finished with ruffled trim. Style yours with platform heels and high-shine accessories. This airy chiffon shirtdress is rendered in a tulip print. 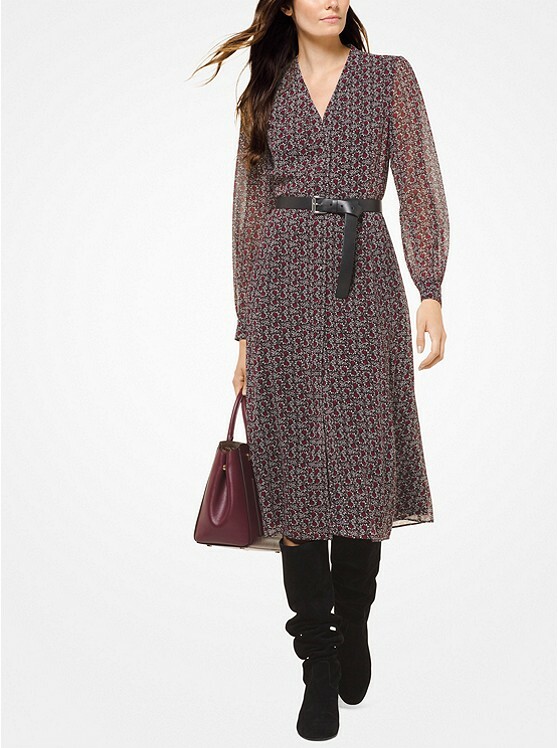 Detailed with a full button fastening, it boasts an attached lining and semi-sheer sleeves. Finish with knee-high boots for around-the-clock sophistication. A flattering option for daytime or date night, this long-sleeve bodycon dress is crafted from stretch-viscose with a belted waist. A leather satchel and ankle boots refine the look.